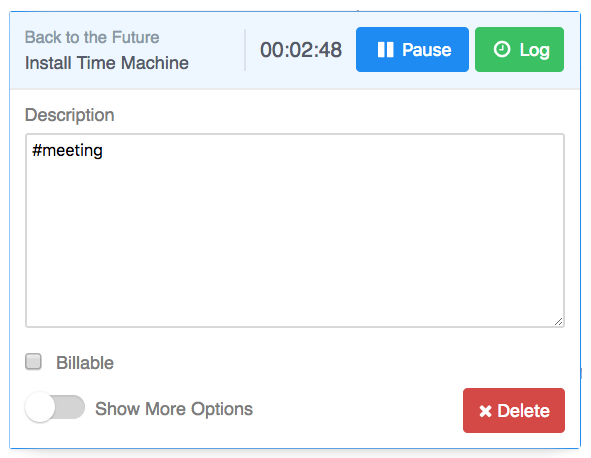 Within Teamwork Projects, you can add tags to time entries created using timers. Using shortcodes, you can add tags to a timer that will then be attached to the time entry once you log the time from the timer. 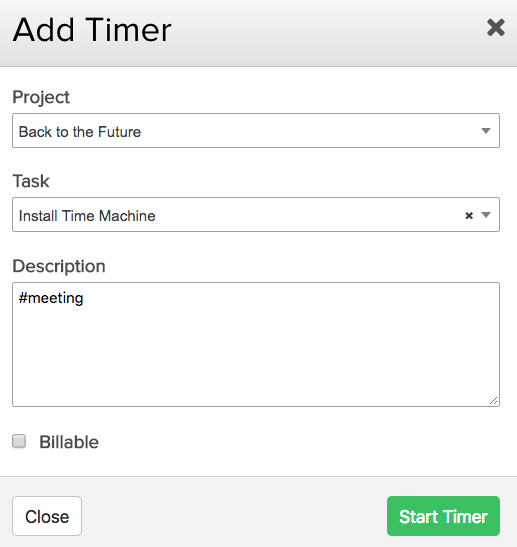 When creating a new timer, just add #tagname to the description field in the modal. When you have an active timer open, hover over it and click the edit details arrow. You can then add #tagname to the description. 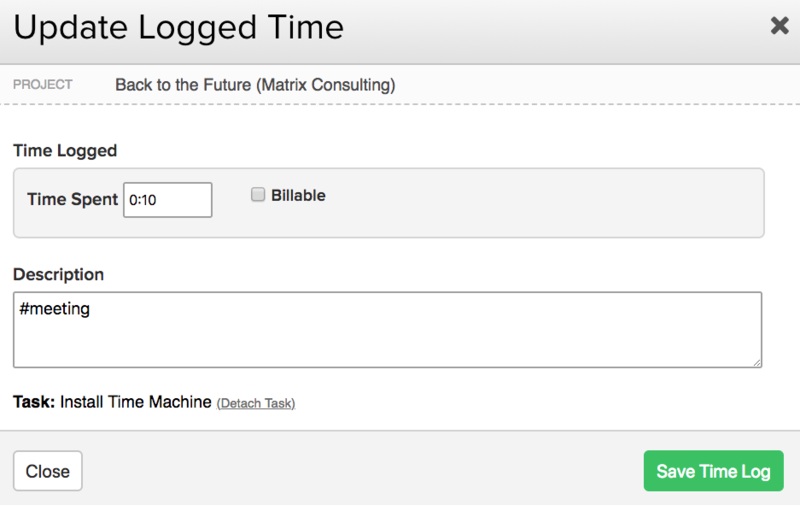 When you select the Log option on a timer, you will be given an option to update the time log entry. Any tags you have already added will be populated in the description. You can add more tags here, or remove the existing ones. Once you have logged the time from a timer, you will see any tags added using shortcodes are included in the time entry on the project.